Blepharospasm is excessive, involuntary blinking. Benign essential blepharospam, or BEB, refers to this spasm in both eyes. Benign means the condition isn’t life-threatening and essential means that it is of unknown cause. BEB is believed to be a dysfunction of the blinking reflex control centre. Some patients with blepharospasm may have associated twitching (dystonias) of the face and neck. Many people are not greatly troubled by BEB but it can have a major impact on a sufferer’s life. Patients may be unable to drive, read, watch television or work. BEB is rarely hereditary but affects three times as many women as men. Other risk factors include head or facial trauma or eye disease, such as dry eyes. Blepharospasm can occur at any age but sufferers are usually over 50. The earliest symptom of BEB is simply an increased blink rate, often exacerbated by bright light. Over time, there is a gradual increase in the strength of the muscle contractions. Spasms can last anything from seconds to minutes and primarily involve the muscles around the eye but may also involve the eyebrows. Some patients also have problems opening their eyes in the absence of spasm — a condition known as apraxia of eyelid opening. Occasionally, patients develop spasms that spread to the cheeks (Meige’s syndrome) or to the neck (Brueghel’s syndrome). Generally, the condition worsens over a few years and then stabilises — remission is rare. Spasms can last any time from seconds to minutes and primarily involve the muscles around the eye but may also involve the eyebrows. Some people find that they are able to ameliorate their symptoms by manoeuvres such as singing, coughing, yawning or applying pressure at the temples. Others find that some activities or environments exacerbate the problem. Many patients with BEB have dry eye symptoms, discomfort in bright light and crusting or inflammation of the eyelids (blepharitis). If these conditions are treated, the symptoms of BEB may improve. Sources of information and support include the Dystonia Society and the Benign Essential Blepharospasm Research Foundation (USA). Simple measures are the first step in treating BEB, although medical therapy can also play a part in relieving symptoms. Sunglasses, particularly rose-tinted ones, provide protection from ultraviolet light and reduce discomfort caused by light (photophobia). If blepharospasm is relieved by pressure on the temples, then a spring-loaded device can be attached to the arm of your spectacles to provide lasting pressure on this area. 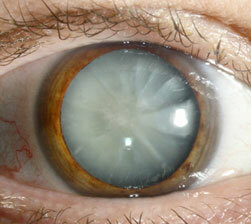 Dry eyes and blepharitis can be treated with lubricants and advice on hygiene. Oral medication may be helpful but is usually only partially effective, short-lived and often has side effects. Medical therapy usually consists of local botulinum toxin (BTX) injections — 90 per cent of patients who receive BTX treatment are clinically improved, according to an American Academy of Ophthalmology survey of 4,340 patients. Treatment typically results in a 70 per cent reduction in symptoms. Side-effects do not usually last long and include temporary drooping of the eyelid (10-15 per cent of cases), dry eyes (up to five per cent) and short-term double vision (up to two per cent). If treatment is being given to the deep areas of the eyelid, there may be temporary double-vision if the Botox spreads unexpectedly. 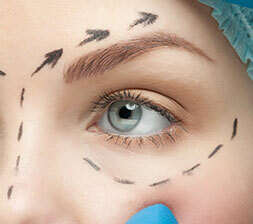 In rare cases, patients who do not gain much relief from BTX may be offered eyelid surgery. The most widely-used procedure involves removing the dominant eyelid muscle responsible for the spasms in an operation known as a myectomy (orbiculectomy). Many surgeons, prefer to perform surgery to the upper eyelids first and only rarely consider lower eyelid surgery at a later date. This staged approach is believed to minimise risks of surgery. Myectomy (orbiculectomy) has been shown to benefit more than 80 per cent of patients and to deliver a level of improvement comparable to the results of BTX treatment. Surgery, either performed separately or at the time of myectomy (orbiculectomy), can also correct many of the secondary eyelid and eyebrow changes that can occur as a result of longstanding BEB. 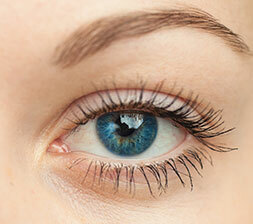 These include constant droopy eyelids (ptosis) and significant descent of the eyebrows (eyebrow ptosis). An eyelid lift (blepharoplasty) can remove excess upper eyelid skin (dermatochalasis).